It was a pleasure to participate in activities marking the 2019 Commonwealth Day in Cameroon. James Achanyi Fontem, the CEO of Cameroon Link who holds the position of the liaison person for the Commonwealth of Learning Cameroon Link Partnership led activities on Commonwealth Day in Douala, economic capital of Cameroon.. Cameroon Link was pleased to contribute and share its experiences and also learn from others during the 70th Anniversary of the Commonwealth this year. Activities in Douala focused on “Learning from Community Media to impact on Commonwealth Development in Cameroon. As a member of the Commonwealth trained team in Cameron, James Achanyi Fontem shared his views on on the topic, “Participation, Education and Development” in the context of 2019 Commonwealth Day theme: A Connected Commonwealth’. In the context of Cameroon, Community media is found as a tool for increasing participation in learning and development processes. This takes root from identifying learning needs to designing programming, creating content, talking about the Commonwealth and providing feedback. 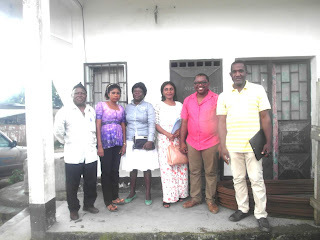 Due to the fact that there is a lack of appropriate and effective learning opportunities in remote rural and resource-poor regions of Cameroon, while schools do not cater for non-formal or life-long needs of school drop outs and adults, the only way to change attitudes is through community media. Activities linked to community media are a good strategy for educating the population and to deliver part of a conversation on the Commonwealth goals and successes for communication and development projects on “A Connected Commonwealth”.Through the collaboration with different groups, we realize that participation helps to ensure relevance in planning and responsiveness in implementation of development goals. 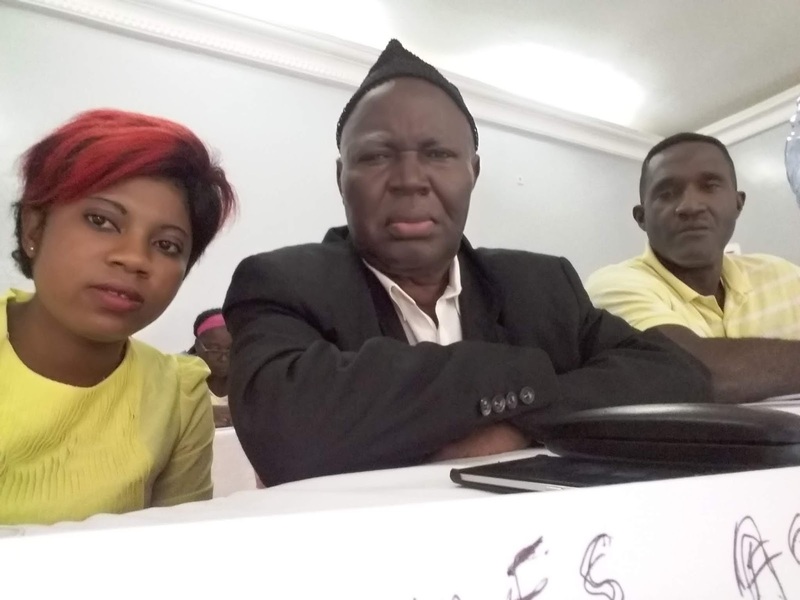 During a survey in rural areas of Cameroon, it was noted that the existence of local media, community development channels, information and communication technology (ICT) centres and other localized services were not effectively structured for engaged learning. This made Cameroon Link feel that there remains untapped potentials in collaboration among the different groups. To fill the gap, community radios should be assisted to go beyond the issue of connectivity since they cater for the interests of certain areas/communities by broadcasting material that is popular to a local audience. Such broadcast material or information is usually based on the social, economic and cultural aspects of the very community. 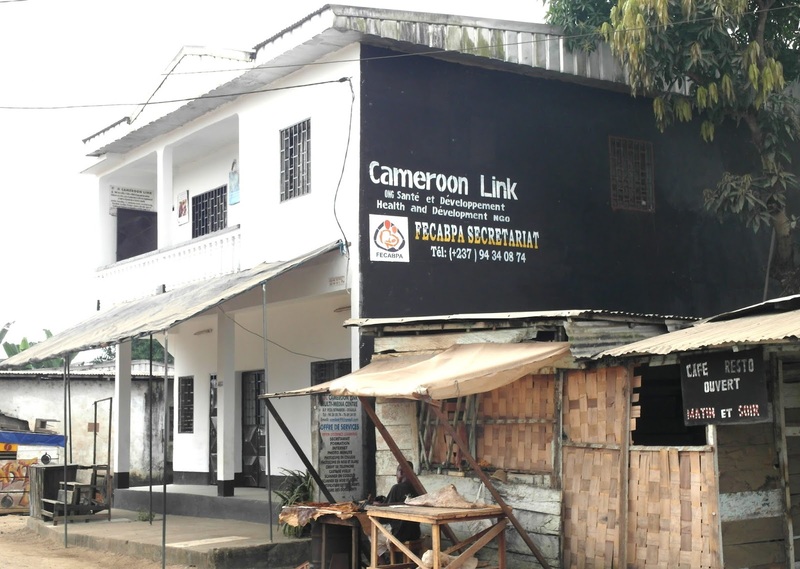 During the recent survey by Cameroon Link, it became visible that the main focus of community media is not just installing equipment and creating connections to entertain the publics, but rather to organize the community so that it can resolve its specific problems, which may vary from one setting to the other. 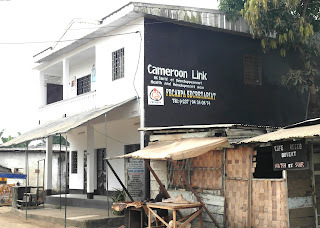 In Cameroon, community radio stations are usually jointly owned by the community and NGOs or associations, that are not profit motivated, and therefore their programming is not influenced by sponsors/advertisers It serves as a means by which to avoid self-marginalization while still adhering to the principles of community interests and social objectives. Community media is a means by which local news and information is disseminated. It allows citizens to inform themselves about the issues taking place around them. This explains why we used this opportunity to undertake advocacy activities towards celebrations marking the 2019 Commonwealth Day in Cameroon. Since Community media are gaining too much popularity today, those in management need tips on how to manage them, package information so that it is relevant and also, get ideas on how to sustain them; given the fact that they are not profit orientated. Community media in all its various forms are inseparably linked to the enhancement of a civil society and civic participation. It is bound only by the limits of creativity and of course accessibility to resources and spectrum. The key characteristics of community media convey a more clear understanding of its definition as well as its depth and dimension in terms of how it takes shape in the civic landscape. It reflects their communities, and more importantly also become integral to the communities which they serve. Integration is achieved through ensuring their accountability to the particular community concerned .This takes the form of community ownership within a legally constituted non-profit distributing structure. Community Radio is a powerful tool for learning for development, especially informal learning for improving health and livelihoods. The role of community radio provides non-formal educational opportunities, especially for non literate communities in Cameroon. Community media outlets not only reflect their communities, more importantly they are integral to the communities which they serve. The integration is achieved through ensuring their independence from commercial interests, but also through ensuring their accountability to the particular community concerned. The accountability often takes the form of community ownership within a legally constituted non-profit distributing structure. Community Radio for example is a powerful tool for learning for development, especially informal learning for improving health and livelihoods. The scale of learning challenge is so overwhelming that all viable methods are harnessed to it. Several thousands of children between the ages of 12 and 14 are not in secondary school for various reasons and we have a first challenge of scale that must be addressed. Community radio can play an important role in giving youngsters the skills that will lead to better livelihoods and getting them into employment or self-employment. 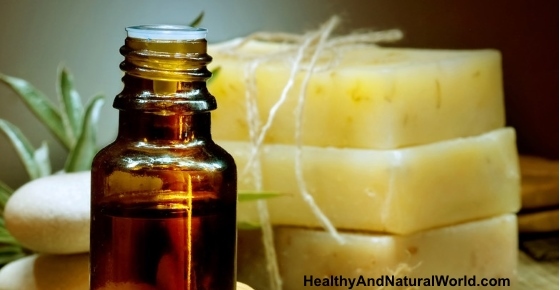 It can also help to keep them healthy, which is the second challenge. There is clearly an urgent need for more learning about health. Community radio is a focal point for community driven learning, allowing learners to identify their own priorities based on participatory mechanisms of assessment. Radio Dramas, storytelling and interviews in particular, are effective and low cost ways of making community voices an integral part of the learning process. Participatory tools used in the development of learning programs encourage networking and collaboration among key local actors, as well as effective advocacy for open distance learning. This helps to share knowledge about community-based learning programmers through networking possibilities. To forge ahead positively, we should be able to build capacity in community groups for designing participatory educational programming, particularly bringing together radio with other groups in development, health, education, etc. 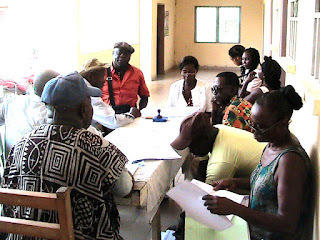 in consultation and research about educational priorities, and educational programed development processes, This will enable us to better experiment and demonstrate appropriate educational community radio broadcasts for example on maternal and child health care, HIV/AIDS, Diabetes, Sickle Cell, etc, especially as it will increase participation in learning and development process, after identifying learning needs, designing programming, creating content, talking about it and providing feedback. In conclusion, participation through joint efforts by the different groups and sectors in the community helps to ensure relevance in planning and responsiveness in implementation. It enables better collective, collaborative responses to development challenges such as maternal and child health, HIV/AIDS, malaria, sickle cell, diabetes and other problems the people living within the community face regularly. 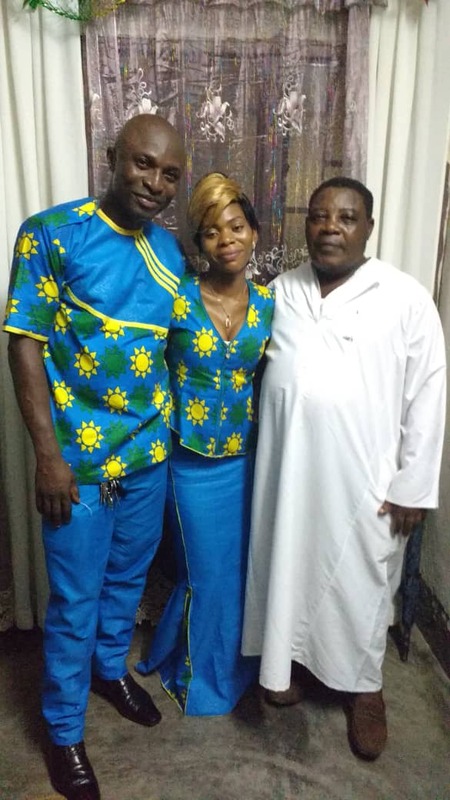 On the 26th January 2019, Emmanuel and Elisabeth decided to join hands in marriage at Douala-Dakar in Cameroon. Emmanuel is a nutritionist involved in the transformation of cassava into grri flour at Njuki Village, while Elisabeth is a tescher Grade I. 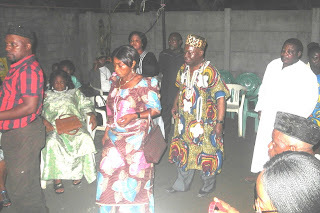 Parents, relatives and friends of both families accepted the union and shared in the dinner and feasting. Negotiations ahead of the traditional marriage went smoothly and the wedded were wished abundant blessings with many kids. The Health District of Bonassama was the focus of a two-day workshop on the investigation of the level of quality health care within the different health areas of the district. The workshop took place on November 16 and 17, 2018 grouping some 72 participants chosen from 18 Local Community Associations. The training was facilitated by Nkeng Eric and Ngouh Emannuel from the Agency for Contractualisation and Verification (ACV) The agency is involved in financing based on performance. The participants were later sent to the different health areas to conduct a survey and meet patients selected who hasd received treatment in the health facilities who signed contracts with the Agency of Contractualisation and Verification (ACV°. The contracts signed were financing based on performance. The ministry of public health encourages proximity health at low cost and these facilities are paid motivation allowances every three months after a survey. The activity is coordinated by the Regional Fund for the Promotion of Health. During the investigation, the local associations verify the data produced by the health facilities through comparative analysis of the declarations made by the patients treated. The level of satisfaction of the health care delivered to the patient from the bebnficiary populations is compared with the policy for health care put in place by the Cameroon government. This aims at getting the community to appropriate the services received as a means of encouraging quality and quantitative health care for all. Addressing the issue of the project site and target groups, the facilitator Nkeng said the activity is conducted quarterly in 16 Health Districts of Littoral region, notably: Cite des Palmiers, Bangue, Edea, Loum, Njombe-Penja, Yabassi, Nylon, Deido, Nkongsamba, Mbanga, Manjo, Boko, Bonassama, Japom, Logbaba and New Bell. 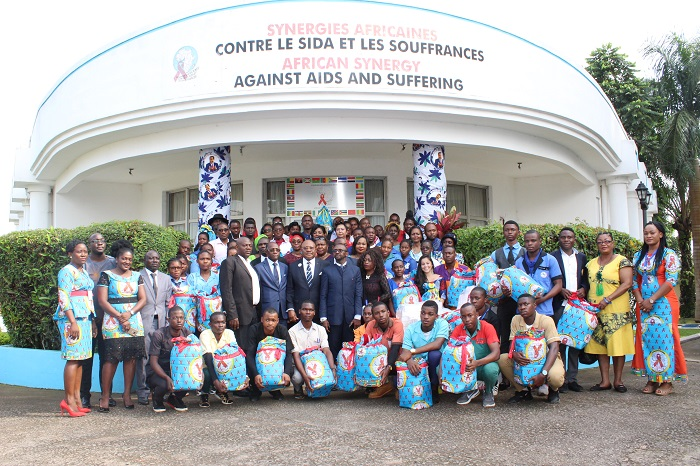 30ème journée mondiale contre le Sida; déjà 16 ans que Synergies Africaines mène le combat Novembre est le mois camerounais contre le Sida : l’appui de Synergies Africaines aux associations et établissements scolaires a été au centre des évènements du mois. SYNERGIES AFRICAINES a offert du matériel de sensibilisation à une centaine d’associations et établissements scolaires au cours d’une cérémonie présidée par M. Jean Stéphane BIATCHA, Secrétaire Exécutif de l’ONG Panafricaine, le mercredi 14 novembre 2018. Cette cérémonie s’inscrit dans le cadre d’une série d’activités que SYNERGIES AFRICAINES organise dans le cadre de la 3ème édition du Mois Camerounais contre le Sida. Cameroon Link a démarré les activités dans le cadre du projet ISDC/NFM2. Elle est a sa quatrième année avec les communautes rurale du district de santé d'ABO après avoir passe trois ans dans le district de sante de Dibombari, dans la region du Littoral du Cameroun.Avec l'appui d'IRESCO? 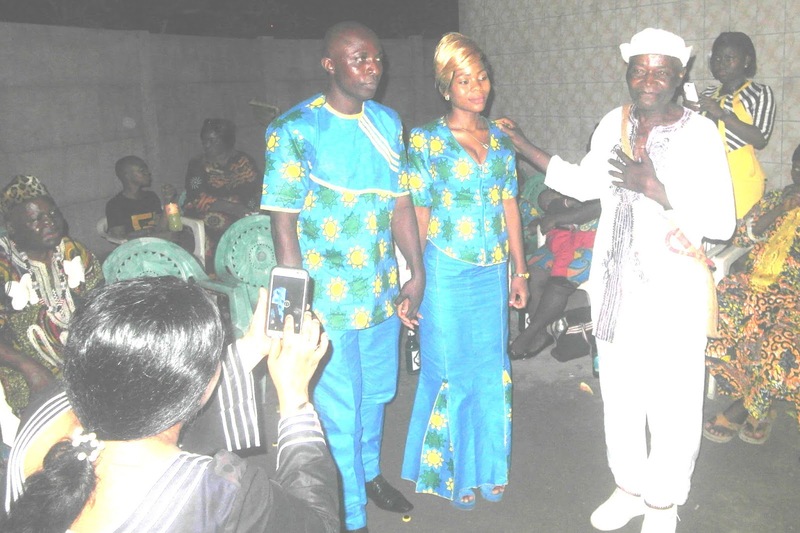 CAMEROON lINK FAIT ACTIVITES SUR L4INFORMATION? EDUCATION ET COMMUNICATION DANS LE DISTRICT DE SANTE D'ABO sur la prévention du paludisme, la tuberculose et les VIH/sida.La nouvelle phase des activites de Cameroon Link avec le le Groupe Technique Régionale du SIDA dans le Littoral. 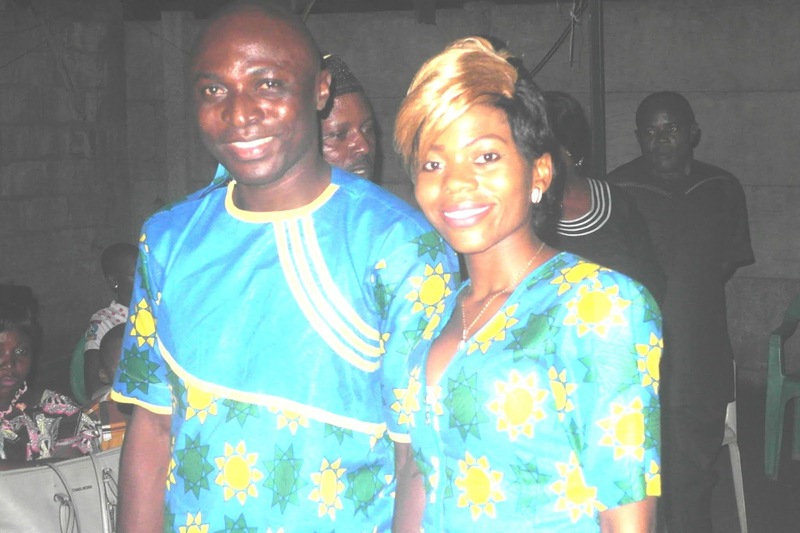 Elle est engagé dans la dispensation des anti-rétroviraux en milieu commuataire avec l'appui de l’Hôpital Général de Douala. Dans le cadre du Nouveau Model de Financement (NMF) du Fonds Mondial, le Cameroun bénéficie d’une subvention portant sur les trois maladies à savoir le VIH, la Tuberculose et le Paludisme. Cette subvention vient à la suite de l’évaluation de la subvention précédente qui a été implémentée avec succès au Cameroun entre Janvier 2015 et Décembre 2017. Cette subvention qui s’inscrit dans la continuation des stratégies est mise en œuvre par le MINSANTE qui est le récipiendaire principal (PR) et le Groupement Plan-MCCAM-IRESCO en qualité de sous récipiendaire (SR). Le besoin d’intervenants communautaires est exprimé par les programmes du MINSANTE pour augmenter la demande de service au sein des communautés afin que 80% de la population adopte des pratiques favorables à la promotion des comportements sains, à la prévention et à la prise en charge intégrée des maladies (Paludisme, Infections Respiratoires Aigües, Diarrhées, Tuberculose, VIH/SIDA, Malnutrition, Onchocercose, maladies évitables par la vaccination …) au niveau communautaire. Dans la région du Littoral, l’activité communautaire sera mise en œuvre prioritairement dans 07 districts de santé, 56 Aires de santé par plusieurs acteurs parmi lesquels on peut citer 07 Organisation de la Société Civile de District (OSCD) et 430 Agents de Santé Communautaire (ASC).. La stratégie communautaire est une traduction opérationnelle de la politique des interventions sous directives communautaires (ISDC) élaborée par la Direction de l’Organisation des Soins et de la Technologie Sanitaire (DOSTS) en 2012. Ce processus a conduit à l’élaboration de la stratégie intégrée de mise en œuvre des activités sous directives communautaires, en juillet 2016. Les principaux acteurs de mise en œuvre de cette stratégie que sont les ASC ont été formé entre Décembre 2016 et Janvier 2017. A la suite de ces formations les ASC ont reçu les outils, matériels et intrants pour la mise en œuvre de ces activités communautaires. La mise en œuvre des activités communautaires est continu depuis le début de 2017, cependant il y a eu des moments de faible suivi des ASC essentiellement pendant le processus de sélection du SR pour la deuxième phase du NFM. A la suite des différentes revues et évaluations des activités communautaires, certains goulots d’étranglement qui empêchaient la mise en œuvre optimale des activités ont été identifiés parmi lesquels le faible suivi des ASC. C’est ainsi que dans le cadre de la continuation du programme pour la période 2018-2020, la supervision des ASC par les OSCD sera accentuée. Cette fiche technique définit la stratégie et les livrables attendus au terme de cette activité de supervision qui sera conduite dans les aires de santé du district de santé de Melong par l’équipe de l’OSCD CAMLINK du DS d’Abo pour le compte du trimestre Avril-Mai-Juin 2018. II. Objectifs A. Objectif général : Apporter un appui aux acteurs communautaires (ASC, COSA, leaders communautaires, chefs d’aires de santé…) pour améliorer la qualité de la mise en œuvre des ISDC dans les communautés. B. Objectif spécifique  Faire le suivi de la mise en œuvre des recommandations de la dernière supervision ;  Distribution du matériel  S’assurer que les acteurs principaux des activités communautaires (ASC & chefs d’aire) ont une bonne compréhension de leur cahier de charge ;  S’assurer que le protocole de prise en charge des maladies au niveau communautaire est respecté par les ASC ;  Vérifier la disponibilité et la conservation des intrants (médicaments, TDR, boite à image, registre…) par les ASC;  Assister l’ASC dans le remplissage des registres ;  S’assurer de la qualité des activités menées par les ASC (VAD, causeries éducatives, pratique des TDR et leur interprétation….) ;  Revoir la qualité et validité les données et rapports produits par les ASC ;  Aider à la résolution des conflits en relation avec les ISDC identifiés au sein de la communauté. III. Résultats attendus  Les ASC et les chefs d’aire ont une meilleure compréhension des ISDC et maitrisent leur cahier de charge ;  Le protocole de prise en charge des maladies au niveau communautaire est respecté par les ASC ;  l’approvisionnement des ASC en intrants et leurs utilisation sont améliorés ;  Les registres des ASC sont mieux remplis ;  La qualité des activités menées par les ASC est améliorée ;  Les données collectées par les ASC sont validées et les rapports produits cohérents et facilement exploitables ;  Les conflits identifiés en communauté en relation avec les ISDC sont résolus. IV. Méthodologies 1. 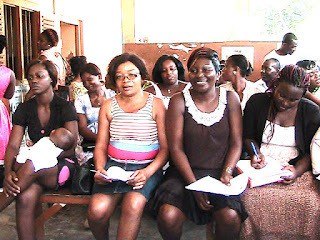 Avant la supervision Avant la supervision le coordonnateur de l’OSCD doit informer les personnes à rencontrer pendant sa supervision de la date de visite et les principales articulations de la supervision. Le superviseur doit s’assurer de la disponibilité des grilles de supervision et du formulaire à signer par les personnes rencontrées lors de la descente sur le terrain. Le coordonnateur élabore les TDR de sa supervision et les transmets au RFS pour validation. 2. Pendant la supervision La séance de travail proprement dite débutera par une brève présentation des TDR de supervision. Ensuite le superviseur devra rappeler les grandes lignes des ISDC et surtout le cahier de charge des ASC. La suite de la supervision portera sur l’administration de la grille de supervision de l’ASC avec feedback immédiat et la résolution des conflits identifiés au niveau communautaire. C’est pendant cette étape que les problèmes spécifiques à chaque ASC sont identifiés et les solutions sont recherchées de manière participative. Chaque OSCD supervise trois ASC par jour de supervision ; ainsi le nombre total de jours de supervision par trimestre est le quotient du nombre d’ASC par trois. 3. Après la supervision Au terme de la supervision le superviseur doit rédiger un rapport de supervision qu’il transmettra au niveau régional du SR (RFS) pour approbation. Ce rapport intègre les trouvailles de la supervision et en annexe la liste de personnes rencontrées. La justification des frais de subsistance de l’OSCD pendant la supervision des ASC se fait par la soumission des TDR approuvés, du rapport de supervision approuvé, de la liste des personnes rencontrées et de l’ordre de mission dument signé et présentant l’itinéraire de supervision. 4. Matériel à emporter sur le terrain par le superviseur • L’ordre de mission • La grille de supervision de l’ASC (une grille par ASC à superviser) • La liste des personnes à rencontrer (noms, contact téléphonique, localisation…) • La copie des précédents rapports de chaque ASC à rencontrer • La cartographie des ASC à compléter • Le stylo, crayon, gomme, chemises plastique… • La fiche de suivi des indicateurs au niveau de l’ASC • Les fiches de validation de la prime (fixe et variable) des ASC pour la période de mise en œuvre concernée (Avril à juin 2018) et pour chaque aire de santé. 5. Matériel à ramener du terrain par le superviseur • Les Ordre de mission signé • Les grilles de supervision remplis et signées par le superviseur et les supervisés • La fiche des personnes rencontrées (noms, résidence, qualité/fonction, téléphone…) • La cartographie complète des ASC • Les rapports des ASC pour la période concernée (visés par le chef de l’aire) • La fiche de synthèse des activités au niveau de l’aire de santé (la quantité dépend du nombre d’aire de santé du district) • Les notes de remplacement de tous les ASC n’ayant pas suivi la formation au même moment que les autres • La fiche renseignant sur le coût réel du transport de chaque ASC de sa résidence au district de santé • La fiche de suivi des indicateurs au niveau de l’ASC • Les fiches de validation de la prime (fixe et variable) des ASC signées par les chefs d’aires pour la période de mise en œuvre concernée (Avril à juin 2018) et pour chaque aire de santé • Le rapport de supervision selon le canevas établi. 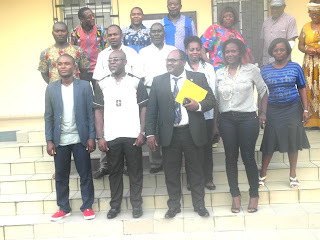 A delegation of three officials of the Littoral Technical Group visited the office of Cameroon Link on the 2nd October 2018 to evaluate the site for take off of dispensation of anti-retroviral drug in the community. The visit was a follow up of the protocol convention signed between the Technical Group of CNLS in the Littoral and Cameroon Link on 16 July 2018. Dr. YONGUI NTAMACK, Regional Coordinator, endorsed the protocol agreement on behalf of CNLS/GTR-Lt and James ACHANYI-FONTEM, President of Cameroon Link signed on behalf of the Civil Society Organisation. This protocol falls within the frame work of a World Bank subvention for the fight against AIDS, Tuberculosis and Malaria in Cameroon. The dispensation of anti-retroviral drugs within the community by a non-medical structure by a staff living within the community is to facilitate access to treatment by patients and the Cameroon Link is now charged with undertaking the following activities: - Explaining the the population what dispensation fo anti-retroviral therapies with the community entails, who can benefit i from the service, the advantages of dispensation of anti-retroviral drugs within the community, in which case should the patient return to the health facility, what are the services to be offered by Cameroon Link, counseling and organization of educative talks with the community. 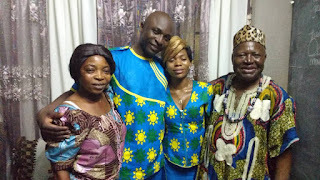 - In effect any person that has been diagnosed can benefit from the services at Cameroon Link Support groups of persons living with HIV, well structured community therapy groups constituted within the community are eligible. - These groups will benefit from the renewal of their prescription, biological follow-up, coaching on poor hygienic and sanitation. - HIV patients will benefit from cordial attention, availibity of Cameroon Link staff, confidentiality and the reduction of delays for reception of and answers to the queries of patients.